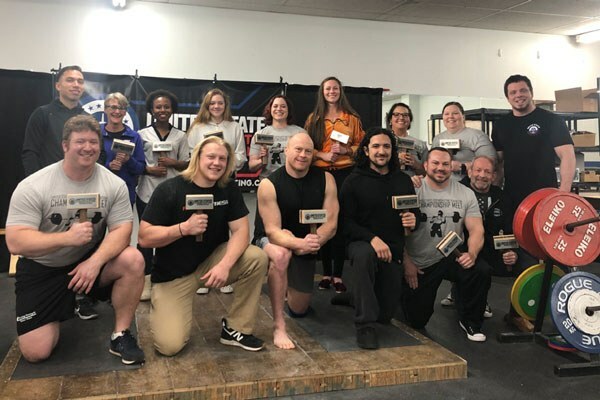 39 lifters arrived at Wichita Falls Athletic Club Saturday, January 19 ready to compete in the 2019 United States Strengthlifting Federation Championship Meet. After turning in their first attempt weights, lifters had time to greet fellow lifters, review their strategy with their coaches, and start settling in for the long day ahead.As soon as meet director Nick Delgadillo organized the lifters into flights and published the order of the rounds for all to see, those lifting earliest in the meet organized into groups, working in with each other as they warmed up their squats. 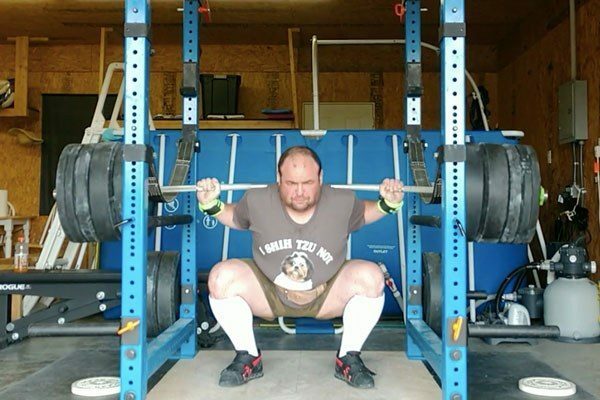 As the start time approached, family, friends, and fellow lifters filled room around the platform waiting for the first call of “the bar is loaded” by meet announcer Mark Rippetoe. Game on. Just over 7 hours later, the last deadlift attempt hit the floor. Weight class winners show off Hammer trophies created by Matthew Moore. 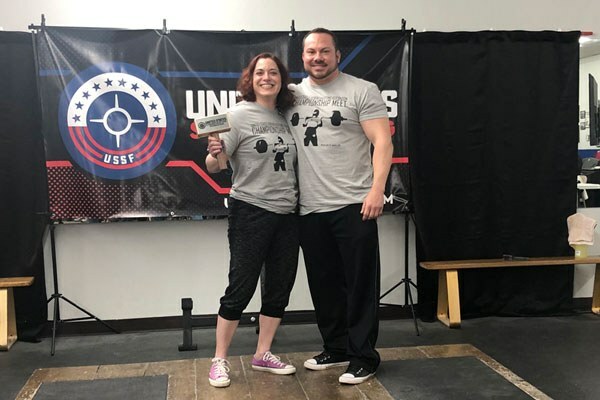 Michael Cordova won best open lifter with a total of 731 (311/109/311) in the 110 kg class and 75 kg-lifter Heather Cook took best lifter for women with a 350 total (133/60/157). The prize? 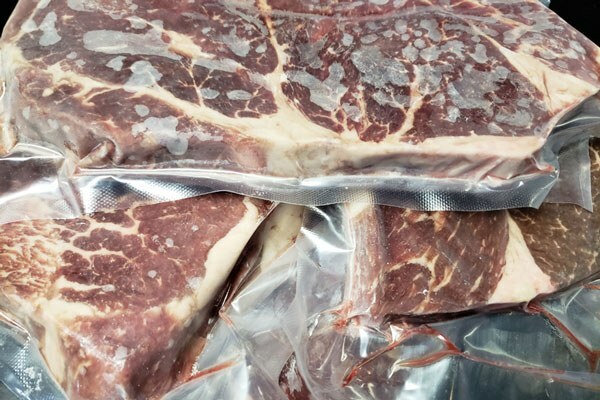 20 lbs of prime sirloin. 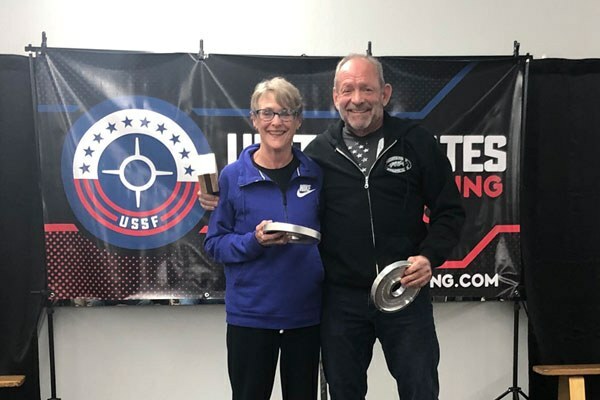 66-year-old Frank Sanders (398 total in the 82.5 class) and 69-year-old Jenny Telles (164 total in the 48s) with 2.5# aluminum Starting Strength commemorative plates from Kirkham Motor Sports. 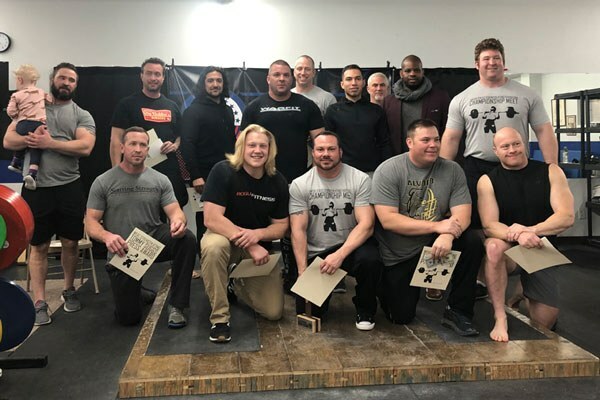 Each open lifter pressing more than bodyweight and female lifter pressing more than 90% bodyweight won a certificate and a $100 bill. Winners: Chase Lindley (BW 111.3, press 151), Michael Wolf (BW 132.1, press 143), Clint Case (BW 127.6, press 138), Kelechi Onyebuchi (BW 106.5, press 127), Grant McCaulley (BW 98.1, press 116), John Massaro (BW 114.5, press 116), John Clymer (BW 102.3, press 112), Michael Cordova (BW 103.9, press 109), Brian Gaskell (BW 101.9, press 104), Geoffrey Bischoff (BW 101.3, press 103), Michael Montfort (BW 91, press 98), Kevin Pudil (BW 97, press 98), Robert Santana (BW 87, press 92), Daniel Kraft (BW 64.3, press 66). 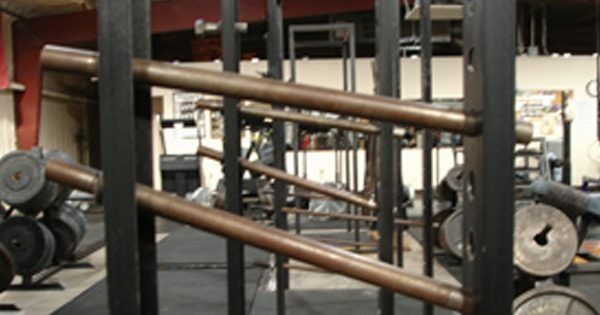 We asked lifters to complete a brief survey to get an idea of their experience and motivations for competing. 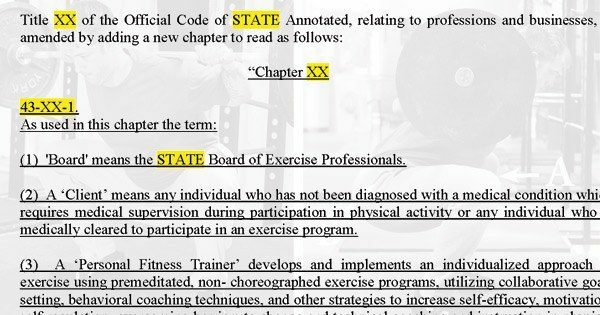 Despite being fresh off the platform – many sweating and still shaking from their final deadlift – nearly all of the lifters complied. 1. How many meets have you competed in? 2. Did you PR today? 4. 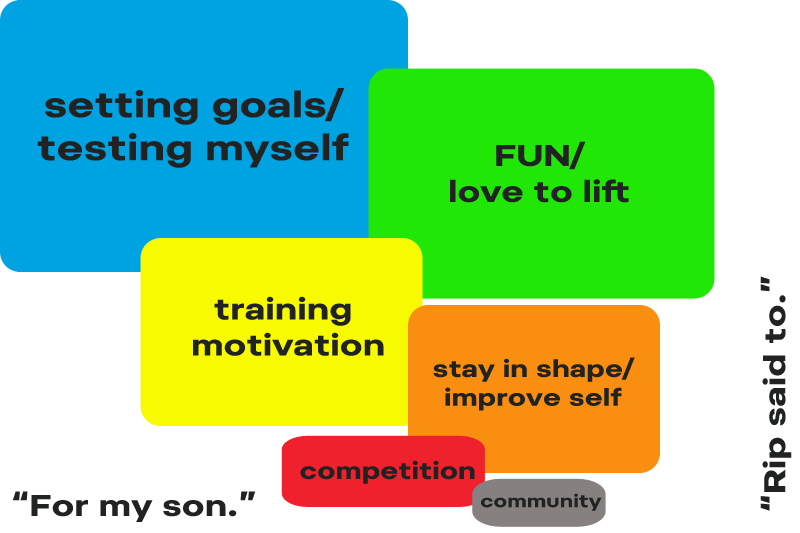 What is the best thing about competing? 5. 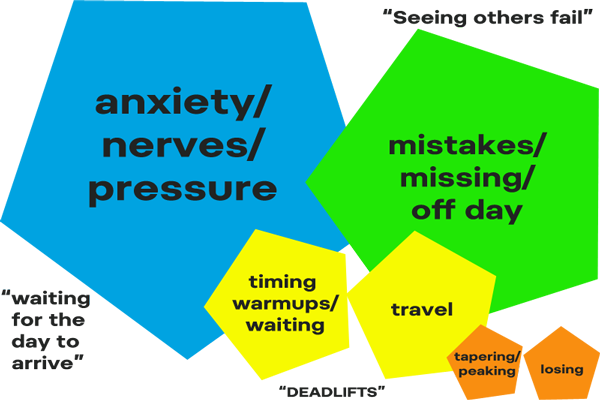 What is the worst thing about competing? 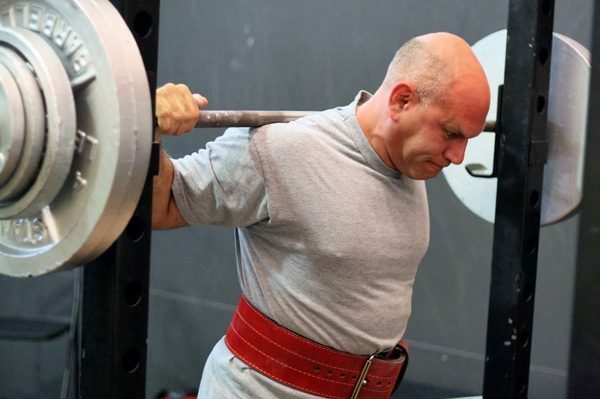 Barbell lifting sports are individual sports not team sports. 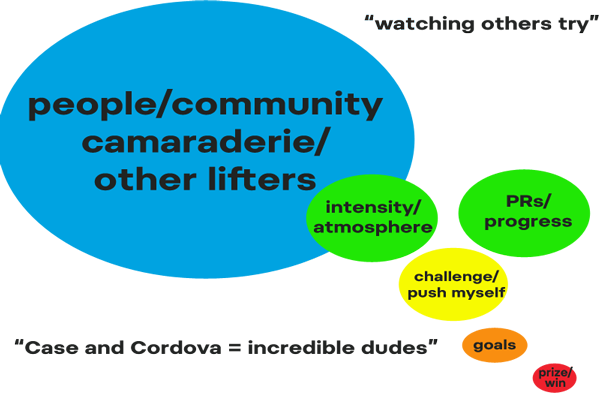 Despite this, the overall pattern we found was an emphasis on Self-Improvement/Challenge not Beating the Other Guy, and more love for Community over the Competition itself. Winning (or losing) and prizes were among the least common motivators reported in the survey. 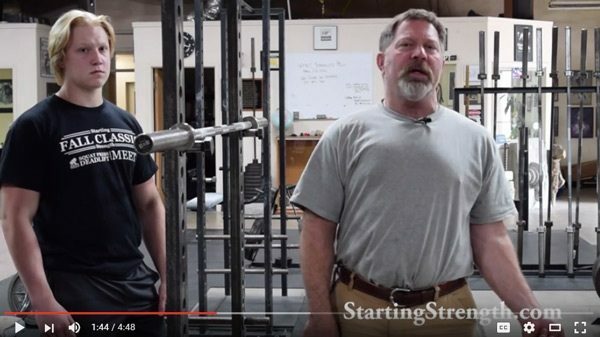 Join the USSF and the Strengthlifting community today. There are 5 events already scheduled for 2019 and more will be added throughout the year.